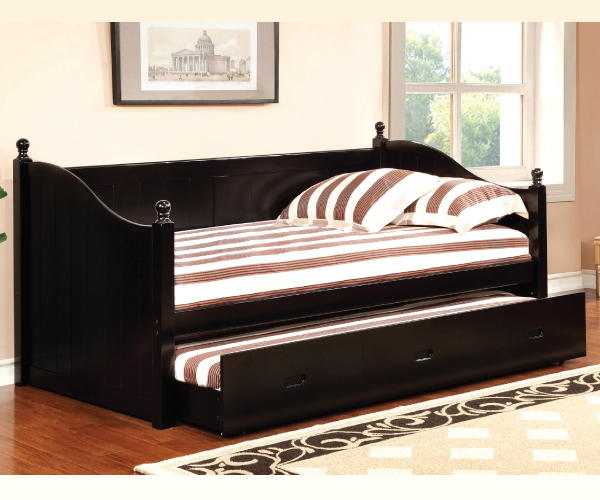 Multi purpose style defines this chic daybed, featuring a robust wooden construction, stylish curving sides, and decorative round finials. 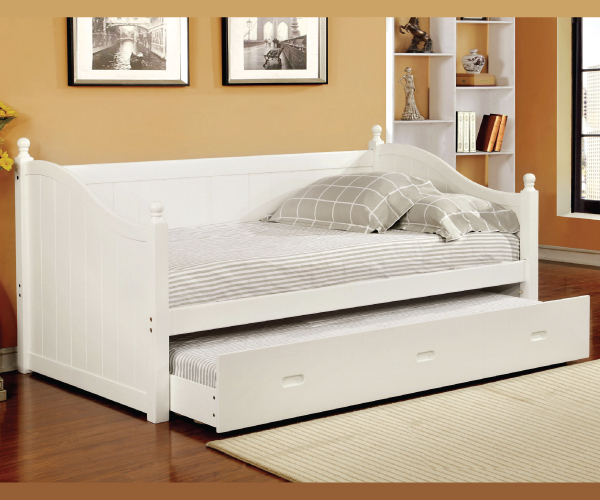 A pull-out trundle offers extra bedding space as needed. Slat kits included, bunkie board suggested. FL Comment: Nice solid wood, simple design. Completed bed save money. Assembly required. Nationwide shipping available for this item, the cost for this item range from $110 - $245 depending on where you live.